Ramos Rivera was born in Villa Acuña, Coahuila, Mexico. 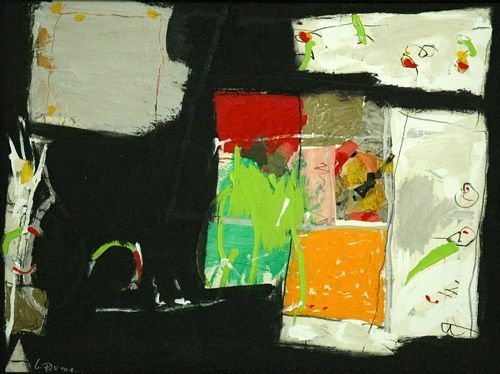 Without any formal art education he has become very well known in the international art scene for his colorful abstract prints and paintings. 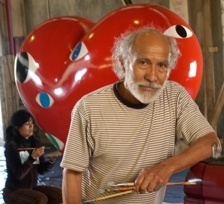 He has held many solo shows since his debut at the Centro Regional de Iniciacion Artistica, Torreon, Coahuila, Mexico in 1968. A year later, he established himself in San Francisco. 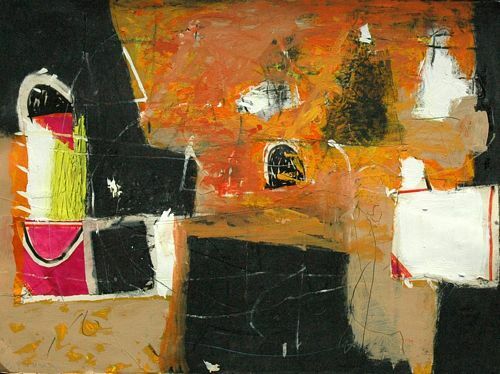 Some of his solo exhibits have been at Zara Gallery, San Francisco, California in 1974, Galeria Miro, Monterrey, Nuevo Leon, Mexico, in 1980, Arte Actual Mexicano, Monterey, California, 1986, Graystone Gallery, San Francisco, California and Alternative Museum, New York, New York in 1988, Margulis Taplin Gallery, Miami, Florida in 1991, Wilfred Von Guten Galerie, Thun, Switzerland in 1994, and Galerie Rahn, Zurich, Switzerland in 1996. Since 1974 his oeuvre has been exhibited in group shows put together by distinguished galleries and institutions such as the San Francisco Museum of Modern Art, San Francisco, California, the Puerto Rico Graphics Biennale, San Juan, Puerto Rico, Galeria de Arte Mexicano, Mexico, D.F, the Virginia Miller Gallery, Coral Gables, Florida, the Joan Prats Gallery, New York, New York, Museo Nacional de Bellas Artes, Santiago, Chile, and the Galerie Rahn, Zurich, Switzerland. He was awarded the Fleishacker Foundation Eureka Fellowship in 1992. His paintings have been commissioned for San Francisco International Airport and the Moscone Center. Recent solo exhibitions include Ex Convento del Carmen, Guadalajara, and Museo de Arte Abstracto Manuel Felguerez, Zacatecas, Mexico, in 2005, and San Jose Museum of Art and San Jose Institute of Contemporary Art in 2006. A major monograph, in English and Spanish, was published in conjunction with those exhibitions.